Houses for rent in Owerri are available in Nekede, Umuguma, Akwakuma, Irete, Aladinma Housing Estate, MCC Road and Futo Road. 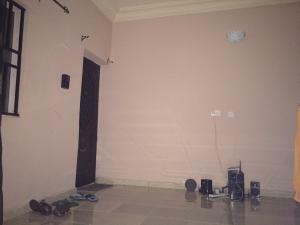 A three(3) bedroom flat for rent in Owerri Municipal costs about N360,000 per year, a self-contain for rent cost up to N120,000 per year and a luxury duplex for rent in Owerri Municipal costs up to N500,000 per year. Properties for rent in Owerri include duplex, bungalow, detached and semi-detached house, flat, mini flat and self-contain or studio apartment. It is not only restricted to residential properties, as you can get commercial properties for rent in Owerri like shops, warehouses, and the likes. The cost of living in Owerri is very well affordable. Popularly known as the heart of Igboland, Owerri is the capital of Imo State located in the Eastern part of Nigeria. Owerri has been tagged the entertainment capital of Nigeria owing to the high density of hotels, casinos and relaxation centers settled within the city. Owerri hosts some beautiful sites that have attracted tourists. They are; National Museum, Mbari Cultural And Art Center, Oguta Lake and Nekede Zoo to mention a few. For fun seekers, Owerri has always been a good choice to live to be a lively hub. The houses in Owerri are modern as most of them are newly built.